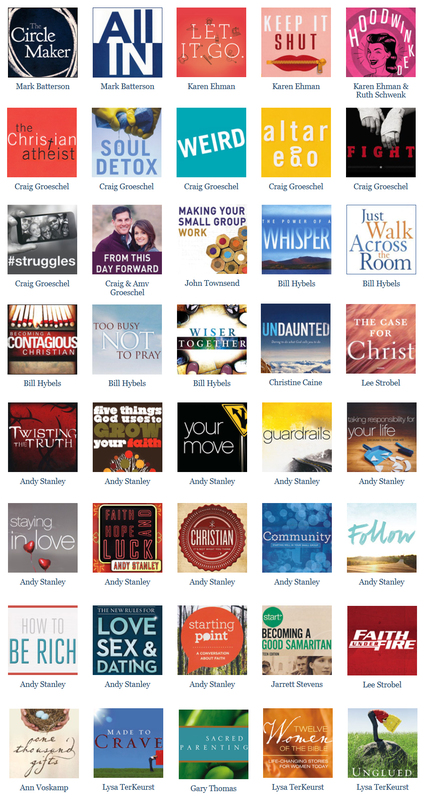 Many of the DVD studies suggested in our Top 100 Small Group Study list are also available as digital downloads (MP4 format) if you prefer to stream or host the videos on your computer or other device (rather than buying DVDs). This easy to use technology is available for some of today’s most popular study teachers including Andy Stanley, Bill Hybels, Lysa TerKeurst, Gary Thomas and more. Both Zondervan and Thomas Nelson publishing companies have released their studies in these downloadable formats. You can normally download individual sessions or the entire study as a bundle that includes all of the sessions. Below you will find just some of the studies available for digital download. CLICK HERE to view them all.